Longlisted for the UKLA 2018 Book Award Interest Age Teen Reading Age 8 | In a nutshell: brilliantly told story inspired by real life events A story of a daring escape made by two slaves, a young woman and her husband, provides the inspiration for Tanya Landman’s story. Rosa and Benjamin meet, fall in love and marry but because they are slaves, their lives are not their own. When Rosa discovers she is pregnant – and confesses to her husband that the child might be her master’s – they decide to run. Rosa is so fair skinned that even Benjamin mistook her for a white at first, so they decide to disguise themselves as a white master and his ‘boy’. Their escape is full of drama and tension, but what will shock young readers is the casual brutality and hateful self-justification of the white slave owners Rosa encounters. It’s a story that makes you doubt humanity, while also celebrating individual courage and resilience. ~ Andrea Reece Particularly suitable for struggling, reluctant and dyslexic readers aged 13+. Barrington Stoke is the foremost publisher of dyslexia friendly books and those for reluctant readers. Here on Lovereading4kids we are constantly selecting new titles and refreshing our special dyslexia friendly category. Click here to view our current selection which is broken down by age range. Winner of the 2015 CILIP Carnegie Medal | What does freedom really mean? Tanya Landman pushes back against all kinds of prejudice in this action-packed, emotionally rich and vividly told story about one girl’s struggle to find out. When Charley is freed from slavery at the end of the Civil War between the Yankees and the Confederates she imagines a new world of unlimited opportunities. Instead, she finds a life that is more dangerous than ever before. Her only way to survive is to disguise herself as a boy and join the army. But the army, like everywhere else, is riddled with prejudice and danger. It is only when Charley is sent to fight against the Apache Indians, another much discriminated against group, that she begins to learn what is could mean to be free. Interest age 12+ Reading age 7 - Reluctant, struggling or dyslexic readers with a reading age of around 7 but an interest age of 12+ will thoroughly enjoy this heart-stopping and thoughtful adventure from this award winning author. A tense story of how life can change from one moment to the next. Best friends Matt and Jake are near the end of their hike; their sore feet are desperate for a rest. But, in one split second, Matt finds himself dealing with the catastrophe that has happened to Jake. A striking adventure with a dramatic twist in the tail. A Note from the author Tanya Landman: A friend of my mum’s was talking about what the two saddest words were. The idea two words summing up some life-shattering event stuck in my head. For a long-time the idea did nothing but sit at the back of my mind. But at last it shape itself into a story. Two Words is the result. To view other titles we think are suitable for reluctant readers please click here. A Dyslexia Friendly title. Interest Age 11+ Reading Age 8+. This is a fascinating short book detailing an important aspect of American History - that of the native American people, the Apaches. Geromino was a famous Apache who went on fighting the US government and the new settlers even when everything was taken away from him and his people. Some called him a killer whilst others called him brave and a hero. In reality he was only trying to save what was rightfully his and that of his people. How far would you, the reader, go to gain your freedom? To view other titles we think are suitable for reluctant readers please click here. A Dyslexia Friendly title. A gripping murder mystery with a fast moving plot that twists and turns as one gruesome event follows another. Poppy is off to a remote Scottish island to take part in a free action-packed adventure holiday. But right from the first there are some odd and scary things going on. Can Poppy keep her nerve and can she uncover the mysteries that are going on behind the scenes? Tanya is the author of a number of novels for slightly older readers and this title is the first in a proposed mystery series. It’s spot on. Selected by a distinguished independent panel of experts including our editorial expert, Julia Eccleshare, for Diverse Voices - 50 of the best Children's Books celebrating cultural diversity in the UK. Shortlisted for the prestigious 2008 Carnegie. An inspiring story of survival against a background of bloodshed. The fourteen year old Apache girl who narrates the story tells of her fight for her land, her tribe - and her life! The ways of the Apache are vividly brought to life. Shortlisted for two prestigious awards, the Carnegie Medal and the Booktrust Teenage Prize 2008. The winner of the latter will be announced on 18th November. 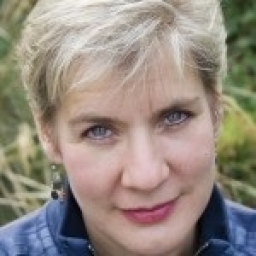 Be sure to check out Tanya Landman's second novel Two Words. The story of a runaway slave girl and her dangerous journey through the murky underworld of Roman Britain, by Carnegie Medal-winning author Tanya Landman.From Tanya Landman, author of the 2015 Carnegie Medal winner Buffalo Soldier, comes a heart-stopping tale of love, corruption and the power of choice. Blood on her lips. Blood on her tongue. Blood that is not her own. Cassia does not fear to die, but for her - for a slave who has maimed her master - there are worse things than death. Yet the mighty Roman Empire has its limits. Beyond her master's estate, beyond the river, far to the north stands Hadrian's Wall. And beyond the wall? Freedom. With dogs on her trail and a bounty on her head the journey seems impossible. But then Cassia meets Marcus - slick, slippery, silver-tongued - a true and perfect son of Rome. And her only hope. A wonderful retelling of Oscar Wilde's classic story about a fierce, angry giant, who wants nothing to do with the children who play in his beautiful garden. But when he finds himself miserable and alone in an eternal winter-land, it's an act of kindness to an unlikely friend that brings back Spring and finally, happiness. Copper/Band 12 books provide more complex plots and longer chapters that develop reading stamina. Text type: Fiction from our literary heritage Curriculum links: English: fiction from the English literary heritage. This book has been quizzed for Accelerated Reader. The heart-stopping tale of a young man's attempt to clear his father's name, from the Carnegie Medal-winning author of Buffalo Soldier.From the Carnegie Medal-winning author of Buffalo Soldier comes this heart-stopping tale of a young man's attempt to clear his father's name. When his father is arrested and transported to the Colonies, Caleb is left alone. After a desperate journey in search of an aunt he's never met he receives a strange, cold welcome. Then a body washes up on the nearby beach and Caleb is caught up in a terrifying net of lies and intrigue. Soon he and his new family are in mortal danger. This powerful story holds the reader in suspense as it charts the growth of a frightened boy into a brave young man. A powerful and emotional portrayal of the Apache's struggle for survival in a hostile world.Siki is an orphan of the Black Mountain Apache. Her mother was killed by Mexicans three years ago and her father lost in an ambush the winter before that. When Siki witnesses the brutal murder of her little brother Tazhi, she vows to become an Apache warrior and avenge her brother's death. A young girl's struggle to change her destiny set against the destruction of the Aztec empire.In the golden city of Tenochtitlan, Emperor Montezuma rules with an iron rod and people live in fear of the gods. Itacate, a girl born under an ill-fated sky, is destined for a life of submission and domestic drudgery. But when her father, a goldsmith, discovers her talent for his craft, she starts to work as his apprentice, a secret she must keep in order to protect the lives of herself and her family. But danger awaits as Spanish strangers invade the city. And when Itacate's work comes to the emperor's attention and she falls in love with a stranger, her life takes an even more perilous turn. Can Itacate change her destiny and survive in this harsh new world? Resourceful and entertaining, Flotsam and Jetsam are the Borrowers of the seashore. A tiny beach... An upturned boat... A whisper of smoke... When Flotsam and Jetsam are washed ashore, they soon become the best of friends. Every day brings a new adventure for the tiny pair. Join them as they battle a spiteful seagull, build a new home and rescue a very shy hermit crab. Resourceful and entertaining, Flotsam and Jetsam are the Borrowers of the seashore. One day Flotsam and Jetsam find a whistle. They don't know what it is and, when Flotsam blows it, it makes a horrible sound so they keep it as a seagull scarer. But little do they know that someone else has heard it too - a big dog with a wet nose who comes to investigate. He even spends the night in their boat house! The next day they all play on the beach but the dog's owners soon spot him and collect him, leaving Flotsam, Jetsam and Sainsbury alone on their tiny beach. Resourceful and entertaining, Flotsam and Jetsam are the Borrowers of the seashore. Flotsam and Jetsam live on a tiny secluded beach. Every day the sea brings them a new adventure: a huge heap of bedraggled feathers that turns out to be a shelduck; an umbrella that becomes a summer house; and a very special surprise! Fifth in the brilliantly addictive series of murder mysteries by an acclaimed and popular writer. When Poppy Fields and best friend Graham go on a weekend trip to the zoo, it soon becomes apparent that the staff there are not happy. Then one of them suddenly dies. And then another. And another... Someone's using the animals to do their dirty work for them, and the result is not pretty. Will the intrepid pair uncover the murderer before they, too, become dead meat? Second in a series of brilliantly addictive, tightly plotted murder mysteries featuring the irrepressible Poppy Fields. When ageing starlet Baby Sugarcandy is found dead at the bottom of the stairs in her Hollywood mansion, it is assumed she tripped. However, an autopsy reveals she was dead before she fell... When a number of strange deaths follow, Poppy Fields and best friend Graham decide to investigate. Second in a brand-new series of murder mysteries. Miss Marple for the younger reader!When ageing starlet Baby Sugarcandy is found dead at the bottom of the stairs in her Hollywood mansion, it is assumed she tripped. However, an autopsy reveals she was dead before she fell... When a number of strange deaths follow, Poppy Fields and best friend Graham decide to investigate. First in a brand-new series of murder mysteries. Miss Marple for the younger reader!When Poppy Fields goes on an activity holiday to a remote Scottish island, she is looking forward to a week of climbing, hill-walking and horse riding. But things take a bad turn when their instructor has what appears to be a fatal abseiling accident. When Poppy discovers that his rope was cut, and more of the instructors start to have "e;accidents"e;, she and best friend Graham suspect foul play and decide to investigate. Fourth in the brilliantly addictive new series of murder mysteries by an acclaimed and popular writer.Poppy Fields and best friend Graham design a murder mystery trail for the school fayre, choosing the headteacher to be the corpse at the end. But when the first person to finish discovers that the head really is dead, Poppy and Graham set out on a real life murder trail. Fifth in the brilliantly addictive series of murder mysteries by an acclaimed and popular writer.When Poppy Fields and best friend Graham go on a weekend trip to the zoo, it soon becomes apparent that the staff there are not happy. Then one of them suddenly dies. And then another. And another... Someone's using the animals to do their dirty work for them, and the result is not pretty. Will the intrepid pair uncover the murderer before they, too, become dead meat? This is the first in a brand-new series of murder mysteries. Miss Marple for the younger reader! When eleven-year-old Poppy Fields goes on an activity holiday to a remote Scottish island, she is looking forward to a week of climbing, hill-walking and horse riding. But things take a bad turn when their instructor has what appears to be a fatal abseiling accident. When Poppy discovers that his rope was cut, and more of the instructors start to have 'accidents', she suspects foul play and decides to investigate. From the Carnegie Medal-winning author of Buffalo Soldier comes the story of a young girl struggling to change the course of her fate. From the Carnegie Medal-winning author of Buffalo Soldier comes the story of a young girl struggling to change the course of her fate as the once mighty Aztec Empire collapses around her. In the golden city of Tenochtitlan, the people live in fear of the gods; to keep them at bay, they are prepared to pay a toll in blood. Itacate, a girl born under an ill-fated sky, is destined for a life of submission and domestic drudgery. But her father, a goldsmith, discovers her talent for his craft, and so she begins to work as his apprentice in secret. When Spanish raiders invade the city, she finds herself at risk of being exposed. Can she escape her destiny and survive in this harsh new world? What are the two saddest words in the English language? Two boys find out when a hiking trip goes terribly wrong...Powerful read. Barrington Stoke specialise in books for reluctant, struggling and dyslexic readers. The Kraken's Snore The Greek Gods Need a New Hero! The World's Bellybutton The Greek Gods Need a New Hero! William Popidopolis is in a race against time in this comic adventure where mythology and reality collide! William travels to a Greek isle to meet his long-lost father. There he meets a talking swan, who is really Zeus, king of the gods - and he desperately needs William's help. The knot that ties the world together is slipping, and the planet is about to explode! Can they trick the Gorgons and retie the knot before it is too late? Rob's real dad walked out.Now a step-dad has taken his place. Rob thinks his step-dad is the enemy-but is that about to change? Barrington Stoke specialise in books for reluctant, struggling and dyslexic readers. The exciting sequel to Waking Merlin, a fantasy adventure set in the modern day. It's Katrina Picket's birthday, and not only has her favourite bear been burnt to a crisp, but her best friend's ignoring her, and the supply teacher is none other than Morgan le Fay, the most evil sorceress that ever lived! Katrina summons Merlin. But can he train her to become a sorceress in time to defeat Morgan and save the country from destruction? While on a pot-holing expedition with her dad, ten-year-old Katrina Picket accidentally wakes Merlin, who tells her that they must save England from a meteorite that is about to strike. Katrina and Merlin travel to London, waking King Arthur and his knights, and Desmond, a hungry dragon, along the way. Can they get there in time to stop the meteorite and save the country from destruction? Find out what happens to the little egg in this patterned story, filled with colourful illustrations by Shoo Rayner. * Yellow level/ Band 3 books offer early readers varied sentence structure and natural language. * Text type - A patterned story with a predictable structure. * A storyboard on pages 14 and 15 reveals what happens to the little egg through a pictorial summary of the day, providing the opportunity to recap the story. * Curriculum links - Knowledge and Understanding of the World: life processes and living things; Science: Plants and animals in the local environment; life cycles * This book has been levelled for Reading Recovery. This book has been quizzed for Accelerated Reader. Our hero is a Tamworth pig with attitude. He was imported from Australia to improve the bloodline of the farmer's herd and he is in no doubt about his own importance. But his days of usefulness are numbered and he's about to be packed off on that final journey...or is it? This is a hilarious story based on the escape of the Tamworth Two, from an exciting new writing talent.